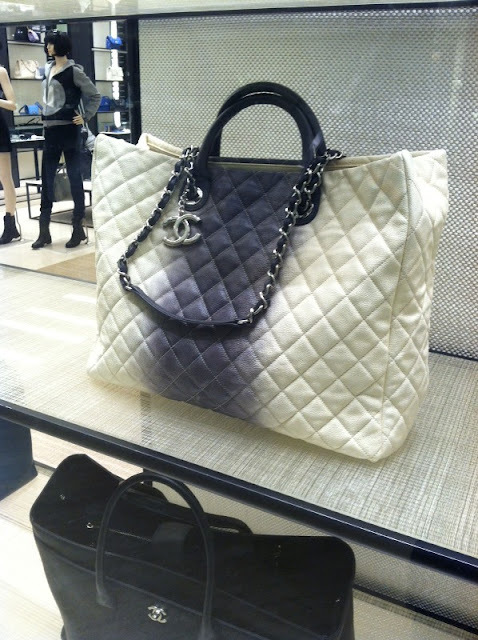 While general browsing the other day, I saw this new Chanel tote. It is available in black/white ombre or pink/white ombre. In general, I tend to buy classic bags if it is on the pricier side. However I find myself liking this large tote. Even though it has the ombre detail but the classic tote silhouette normalized the design in my opinion. Besides, black/white ombre is rather interesting without going over the top. What do you think? The first thought when I saw this silver crystal embellished bag was how cute. Instead of toting around a big bag/tote, I tried to use smaller bags whenever possible. I am pretty sure I can't put anything in there but I do adore it. Perhaps the sparkling factor is skewing my judgement. How do you like this little number? *Join Savvy Mode on Facebook for other fashion and lifestyle thoughts! 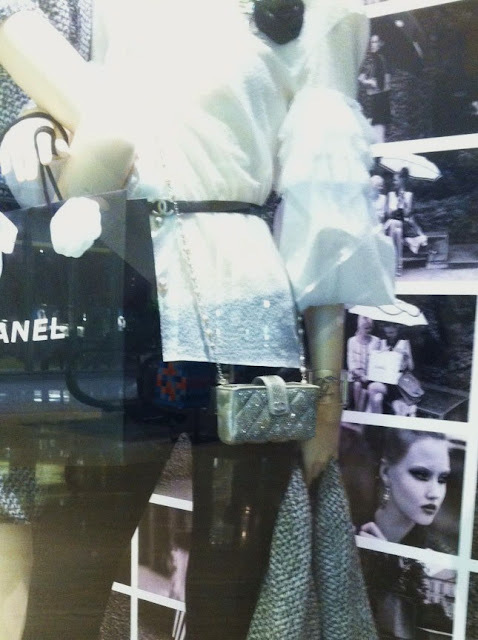 Oh I just love Chanel!